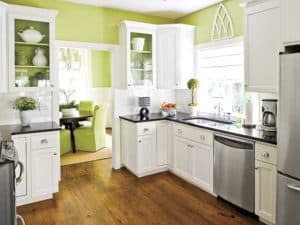 Agricola Redesign | Three Tips to Help You Prepare Your Home for Spring! Three Tips to Help You Prepare Your Home for Spring! Spring is almost here, we can taste it! That cold breeze will get a little warmer and the sun will stay out a little longer. Along with the change of season comes a change in our homes – from deep cleaning to setting up floral arrangements and everything in between. Since March 20th can’t get here soon enough, we’re going to help you pas the time by offering up these three tips to prepare your home for spring! Create your own coffee bar in your home! Warm up your mornings with a hot cup ‘o joe and watch the sun shine through your windows. 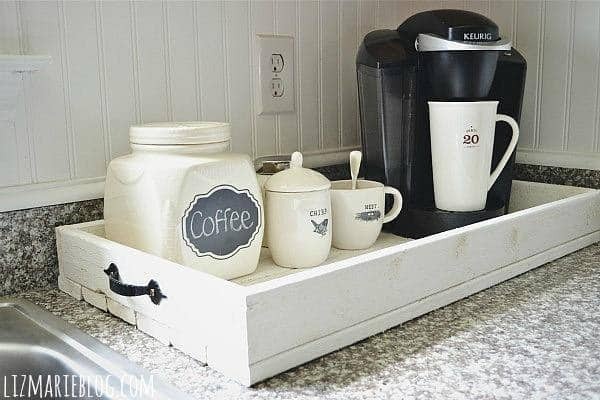 And don’t forget to shop our collection of trays at A Village Gift Shop at the Century House in Glendale to find the perfect tray to complete your coffee bar! 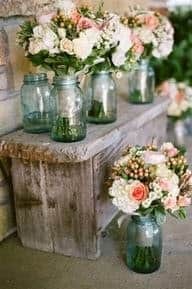 Find or recycle mason jars from around your house and turn them into flower vases. You can reuse old spaghetti sauce or jelly jars. Soak them in warm, soapy water to take off the labels and add some flowers! Fresh flowers are the way to go (don’t opt for fake flowers) because you’re trying to create the feeling of spring in your home! Stop by your local grocery store, or better yet, shop with a local florist, to pick up your blooms. Arrange the flowers in groupings throughout your home and you won’t even realize it’s still winter outside! It’s that time of year again – time to whip out your toughest cleaning ingredients to refresh your home from top to bottom. Don’t forget to pull out your screens and wash away that winter grime from your windows. Grab your handy dust busters to wipe down the ceiling fans and fireplaces in your home as well as bookcases and shelving. Take each room a day (or weekend) at a time and you’ll feel the cold sheet of winter finally disappear, and trust us, you’ll feel a whole lot better when the weather finally pulls you outside and you can actually enjoy the fresh sunshine because you already finished your cleaning!